Hypertext systems are great. But there is more: Some help systems provide special search abilities and navigation techniques to give the user tools to find solutions for his problems. On this page we present some of these systems. We want to describe functionalities and techniques that can be relevant and inspiring for hypertext systems. Starting with MS-DOS 6.x Microsoft introduced an extended help system working with QBASIC. The HELP command provides hyperlinks and other features. 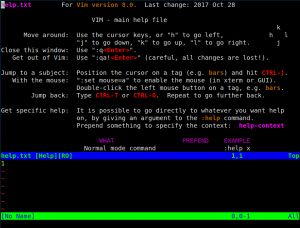 The help systems of Unix-like systems provide a web of connected documentation. There are differences between Texinfo and man, but the both are very similar in handling navigation and search. 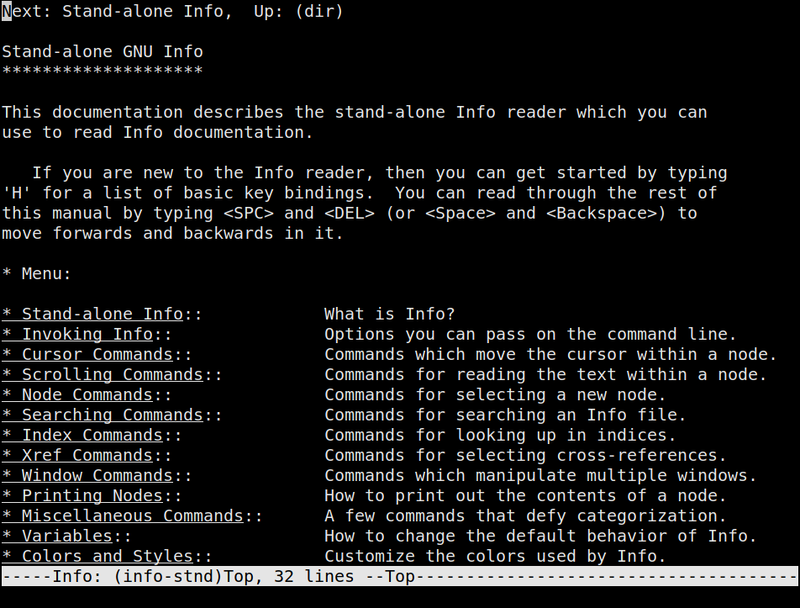 With man navigation does not happen interactively, you have to call the program to search for information (e.g. man -k man) and then call the program again to read the information (e. g. man man). 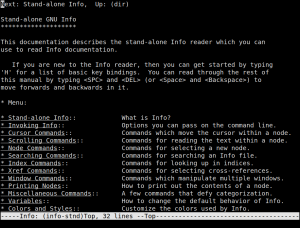 The Texinfo reader info provides an interactive navigation method. There are additional readers and exporters for both systems that provide more navigational features. 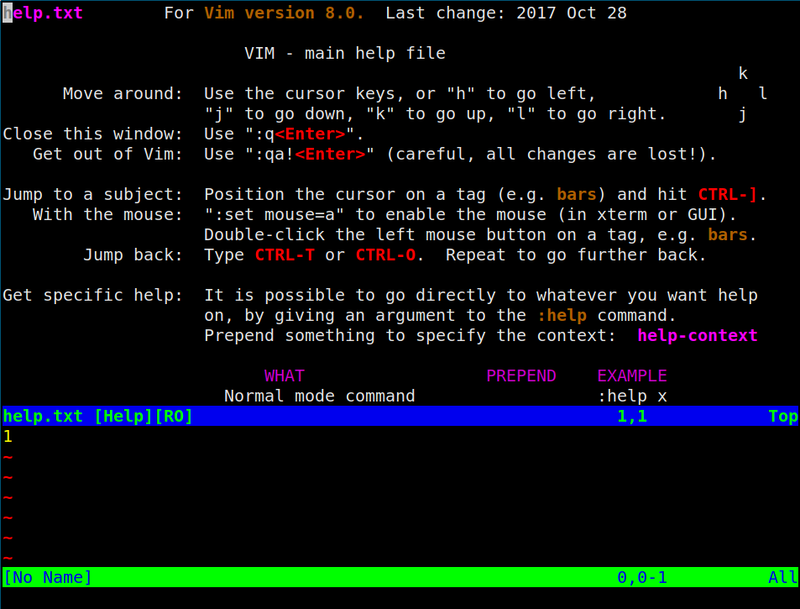 The vim online help (:help) provides not just helpful information but a navigational system. Users can follow links and jump back. They can search for pages and for content. Although the help files are plain text they use a special markup language to visualize different types of information in different ways.